The flip top cap (Dust Flip Cover may or may not be attached. This will not affect the use of canteen) can remain closed during normal use, no leaks. (The flip top cap aka dust flip cover on NBC cap may or may not be attached. This is a Genuine U.S.G.I. 1 Quart Canteen w/M1 Cap with Insulated Nylon Cover. This canteen is Hardened Plastic with screw on top and made to last a Lifetime. 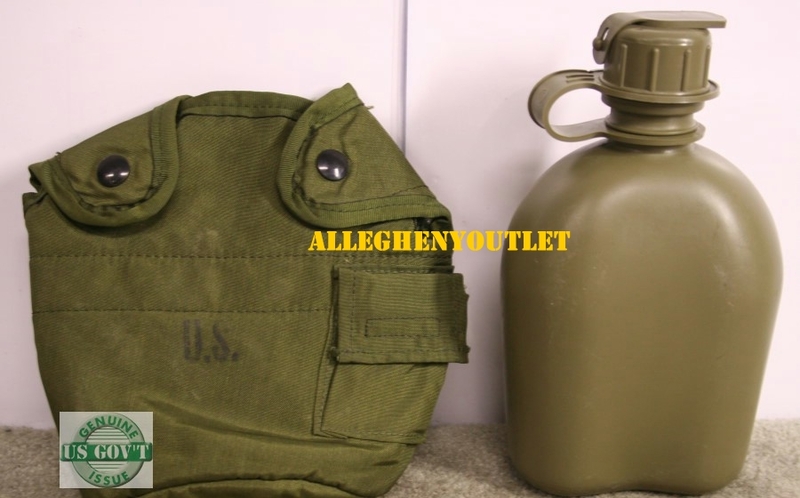 This 1 Quart Canteen Cover will Hold a One Quart Canteen and Metal Cup. Attaches to web belts, packs or a regular belt with Alice Clips or can also be fitted with a MOLLE adapter and attach to the MOLLE Gear. (Sold in our Store). The Nylon Case is Insulated and has 2 Brass Snap closures to resist corrosion and a small front pocket with Velcro closure to store water purification tablets or P-38 can opener. Canteen cover can be worn on the Load Carrying Pistol Belt or any Belt with the 2 INCLUDED Metal attaching Alice Clips on the back of the case. The M1 cap pictured is the style cap winning bidder will receive attached to the canteen, though very rare, color of cap may be black. 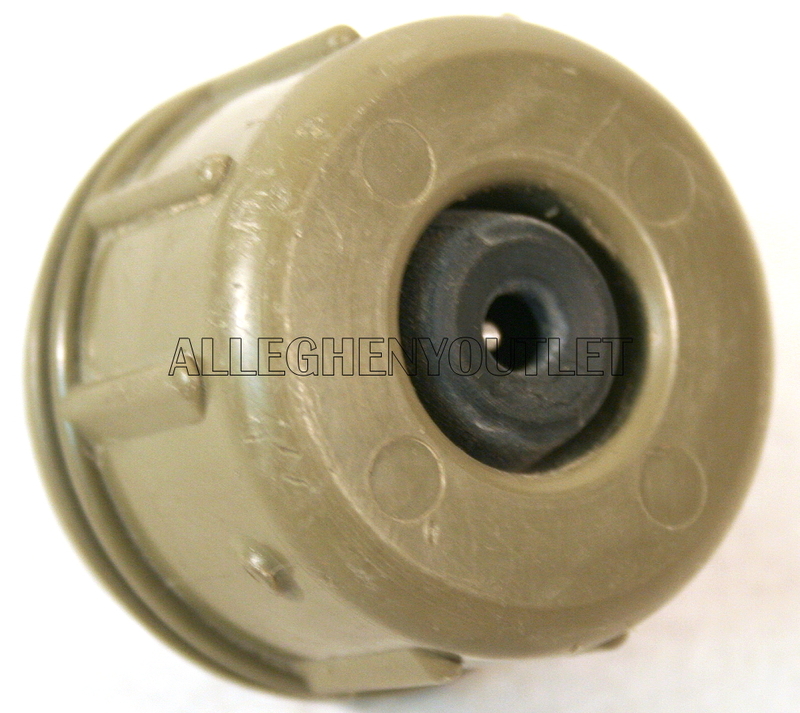 This style cap has a drinking vent which can be used to insert a hose when wearing a gas mask or special breathing device. The flip top cap (Dust Flip Cover may or may not be attached. This will not affect the use of canteen) can remain closed during normal use, no leaks. This style cap has been in use with the U.S. Military for 40+ years. The dates on the bottom of the canteen and the back of the case range from 1970 - 2006.